3D Hubs and McNeel invite you to their 3D Printing Workshop in Nice! Module-d, a CoMaking space in Nice, in the South of France is organizing a 3D Printing Workshop from Rhino on March 18th. - In the morning draw a custom coffee cup. 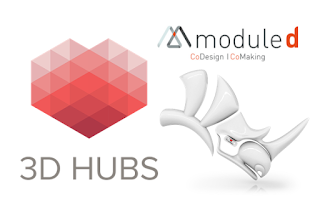 - In the afternoon print your model on one of our 3D printing stations from the 3D Hubs community. Instructor: Vanessa Steeg from McNeel. Come and share the interest for digital fabrication in the region!